Should You Be Worried About Northrop Grumman Corporation (NOC)’s Falling Hedge Fund Ownership? Hedge funds and large money managers usually invest with a focus on the long-term horizon and, therefore, short-lived dips on the charts, usually don’t make them change their opinion towards a company. The second half of 2015 and the first few months of this year was a stressful period for hedge funds. However, things have been taking a turn for the better in the second half of this year. Small-cap stocks which hedge funds are usually overweight, outperformed the market by double digits and it may be a good time to pay attention to hedge funds’ picks before it is too late. In this article we are going to analyze the hedge fund sentiment towards Northrop Grumman Corporation (NYSE:NOC) to find out whether it was one of their high conviction long-term ideas. 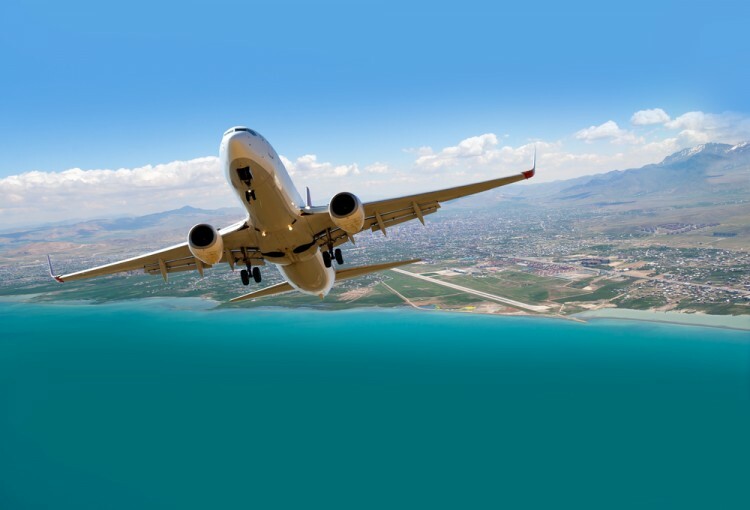 Is Northrop Grumman Corporation (NYSE:NOC) a splendid investment right now? Hedge funds are selling. The number of long hedge fund positions went down by 7 in recent months. 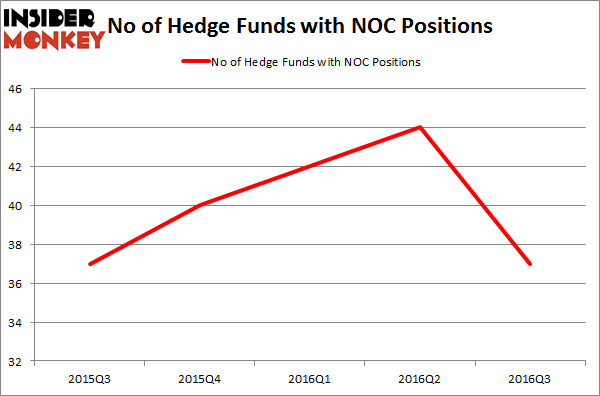 NOC was in 37 hedge funds’ portfolios at the end of the third quarter of 2016. There were 44 hedge funds in our database with NOC holdings at the end of the previous quarter. The level and the change in hedge fund popularity aren’t the only variables you need to analyze to decipher hedge funds’ perspectives. A stock may witness a boost in popularity but it may still be less popular than similarly priced stocks. That’s why at the end of this article we will examine companies such as ING Groep N.V. (ADR) (NYSE:ING), Enbridge Inc (USA) (NYSE:ENB), and Netflix, Inc. (NASDAQ:NFLX) to gather more data points. What have hedge funds been doing with Northrop Grumman Corporation (NYSE:NOC)? At Q3’s end, a total of 37 of the hedge funds tracked by Insider Monkey were long this stock, a 16% drop from one quarter earlier. With hedgies’ capital changing hands, there exists an “upper tier” of noteworthy hedge fund managers who were increasing their holdings meaningfully (or already accumulated large positions). When looking at the institutional investors followed by Insider Monkey, Cliff Asness’ AQR Capital Management has the biggest position in Northrop Grumman Corporation (NYSE:NOC), worth close to $379.7 million. The second largest stake is held by Maverick Capital, managed by Lee Ainslie, which holds a $236.7 million position; the fund has 2.8% of its 13F portfolio invested in the stock. Some other professional money managers that hold long positions include Jim Simons’ Renaissance Technologies, Dmitry Balyasny’s Balyasny Asset Management, and Phill Gross and Robert Atchinson’s Adage Capital Management. Investors Are Going Crazy for EOG Resources Inc (EOG) Is The Dow Chemical Company (DOW) A Good Stock To Buy? Hedge Funds Like What Panera Bread Co (PNRA) Is Cooking Up Bill Miller Likes Buffett’s Timing On Airlines, Talks Valeant (VRX)&#... Fir Tree Goes Big on Tech, Consumer Stocks in Q3: Hewlett Packard (HPE), TiVo... Is The Ceiling About to Fall On Beacon Roofing Supply, Inc. (BECN)?